HELLBOMB project is formed in 2014. The original line-up features experienced musicians well-known in metal underground of Moscow and St. Petersburg. In September 2014 HELLBOMB releases its first three-song demo �First Bomb From Hell�. The demo features Mikhail Baalothneekh (who is also known for his work with other metal bands) on vocals. �First Bomb From Hell� originally self-released as a limited edition, is later released on MCs by FROM THE DARK PAST and on CDs by INFERNAL OVERKILL PROD (Chile). Soon after Mikhail quits HELLBOMB for family reasons and the rest members of the band decide to do vocals themselves. 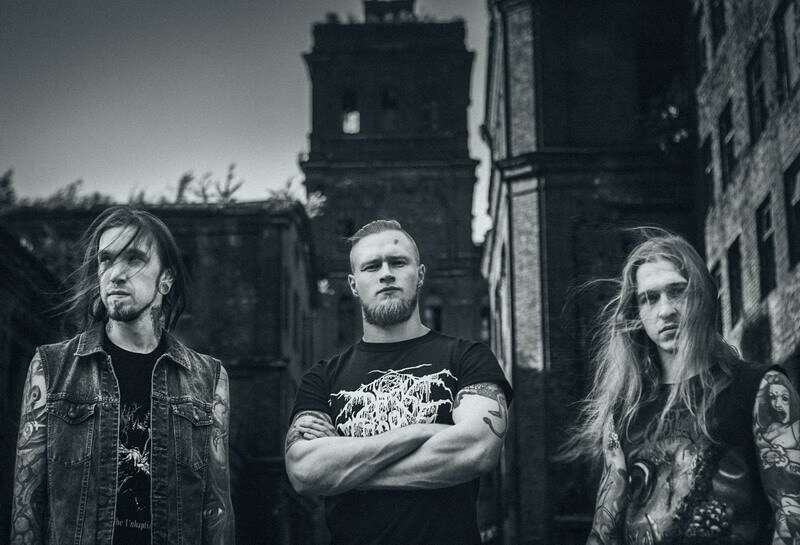 With a new guitarist � talented Dmitry Rybinkov, HELLBOMB becomes a trio. During the period of intense studio work the new line-up composes nine songs for the debut album titled �Hatebombs From Hell�. The album recorded in Redneck Rec., Pure Damnation and DTH Studios, mixed and mastered by Redneck Rec. is finally released in March 2016 by MORE HATE PROD (Russia). In summer of 2016 the band finally moves to the Northern capital. The decision is made to find a frontman and Andrey Kovalev takes this position. On October 14, 2016 HELLBOMB plays its first live show opening for DESTROYER 666 in Volta club. In December of the same year the band plays its own show in Dich club. In March of 2017, one year after the first release, the �Crown of Skulls� EP is unleashed upon the masses. HELLBOMB keeps on playing live shows and prepares for touring abroad.